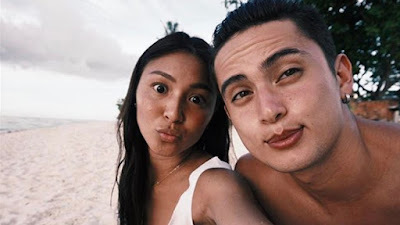 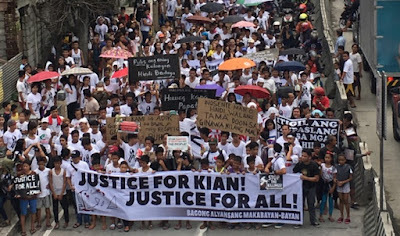 Today, August 26, 2017, is Kian's funeral. Many people joined the funeral march to send messages to the government to stop 'Oplan Tokhang'. 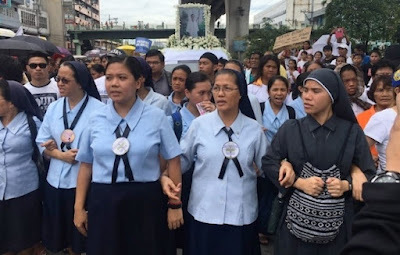 Student, Nuns, bystanders, and Mothers joined and give respect to the funeral march. 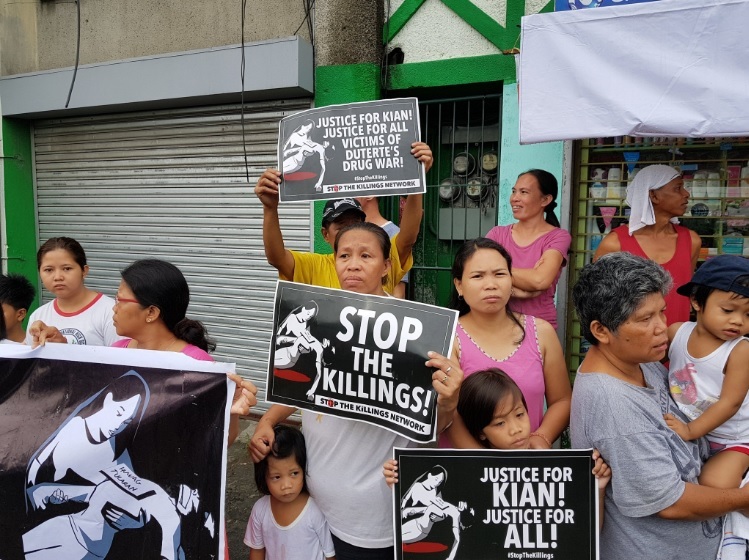 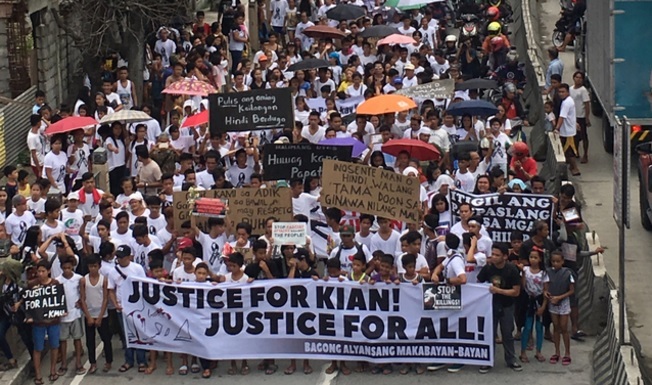 The said people who joined Kian's funeral held up a banner protesting the assertion of authorities that the minor boy was a drug courier, and he was killed because he tried to fight back. 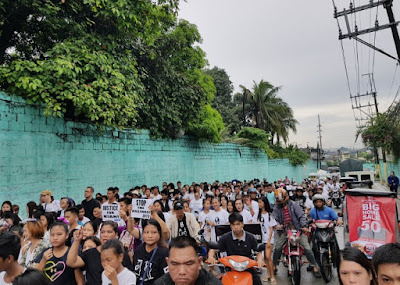 Also, part of Balintawak EDSA was temporarily closed to traffic for the procession. 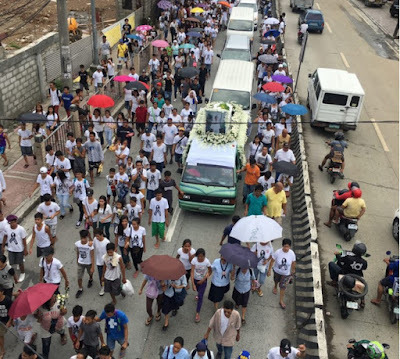 Vehicles blow their horns to give respect to the Grade 11 student.